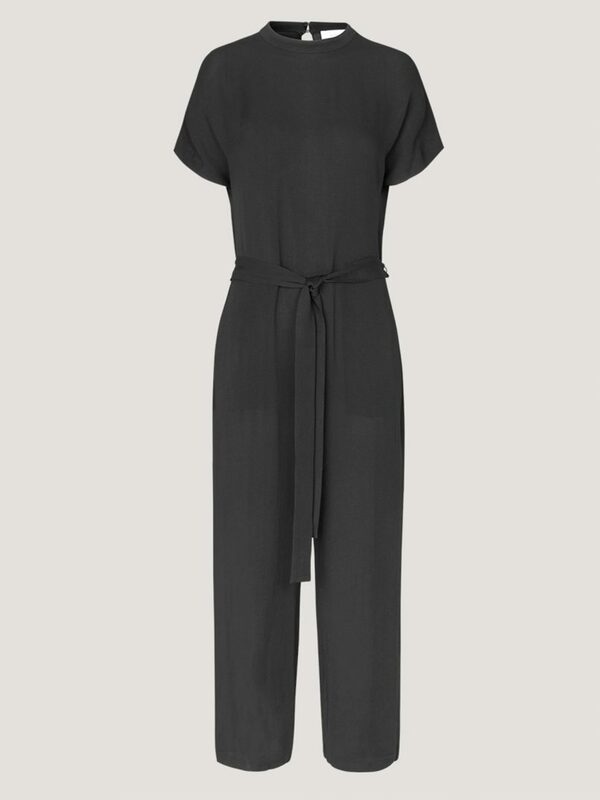 Kimberly is a short sleeve jumpsuit with a refined and minimal silhouette. 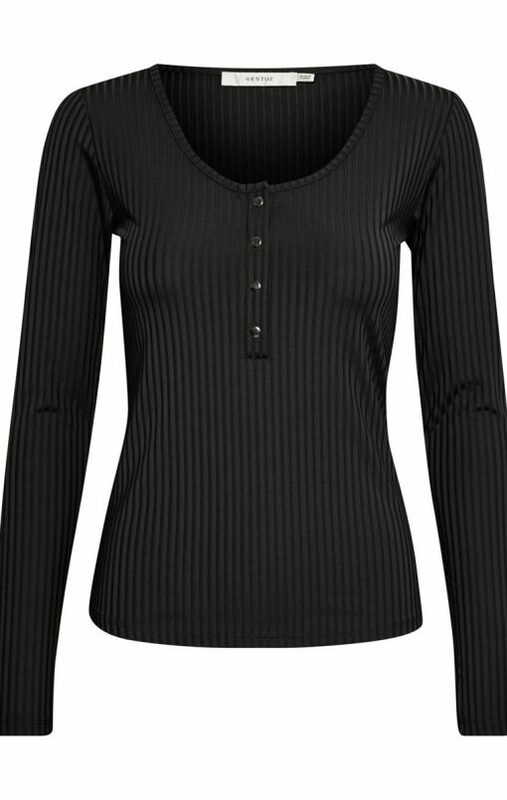 The neat collar has a flattering deep split opening on the back, while the matching belt adds definition to your waistline. 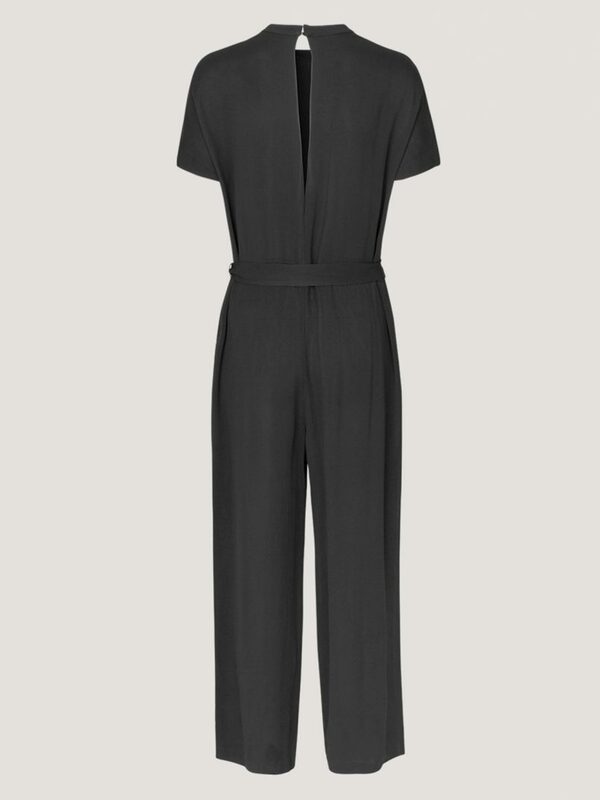 Side seam pockets give a practical finish to this wide-leg jumpsuit.